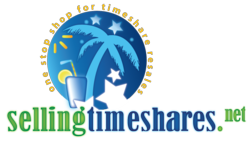 David Van Norman and Megan Van Norman, licensed agents at Selling Timeshares, Inc., are set to offer pressure free consultations with the new timeshare resale team. The team hopes to change the timeshare resale industry for the better. We have not only built a world-class website and blog... It's a life-long relationship we are building. David Van Norman and Megan Van Norman, licensed agents at Selling Timeshares, Inc., are set to offer pressure free consultations with the new timeshare resale team. The team aims to change the timeshare resale industry for the better by making timeshares easier to understand, and more accessible to the public than ever before. Why Would Anyone Buy A Timeshare? Timeshares are fractional vacation ownerships. They allow regular people to own some of the most luxurious resorts every built. These vacation products are designed to achieve an affordable way of traveling by, in essence, pre-purchasing vacation time each year. The perfect timeshare owner: has the intention of traveling each year, has the desire for more accommodations than motel 6, or wants to belong to a vacation community geared at extracting value from their vacations. It may be frowned upon at the presentations, but when buying a resale account can afford travelers vacations across the globe at deeply discounted prices, why not get educated? When timeshare buyers are thinking about purchasing a timeshare ownership on the resale market, they have many factors to consider during the course of the purchase. One solution is to contact a brokerage to help you understand the diverse world of timeshares, but where does one begin? The company currently uses multiple sources to help their clients and contribute to the culture and community behind the world of timeshares. The company believes we are just at the beginning of explosive growth in the vacation industry. David Van Norman said, "We have not only built a world-class website and blog, but we are leveraging social media and other modern media outlets to help our clients, friends and even family connect with the travel information that is relevant to them, even after the purchase. It's a life-long relationship we are building."